The business is on-demand, agile and cyclical, it requires the right IT skills at the right time for the right amount of duration. 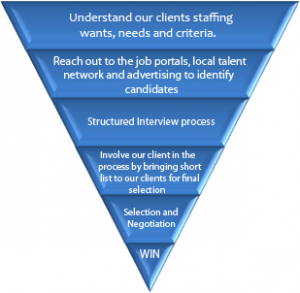 Does your IT staffing model fit to the business demand? Let Savvy Technology Solutions help you to achieve such agility. We have a team of highly motivated experienced IT recruiters and Human Resource managers to quickly recruit and retain highly skilled IT professionals to help your business prosper. The unique of our approach is to actively reach out to top talents through local network events. We act with speed.